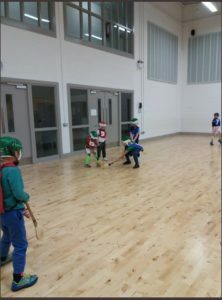 An indoor hurling blitz will take place in the Catherine McAuley school hall from 12 to 1 every Saturday until Saturday 24th of November. All 1st and 2nd class boys and girls are welcome. Hurls and helmets will be provided. We hope to see you all there.